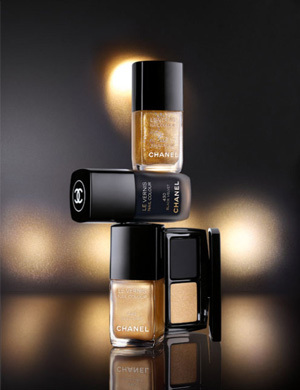 Peter Phillips who is well known as the mastermind behind Chanel Make-up designed a gorgeous mini make-up collection called Extreme Orient. 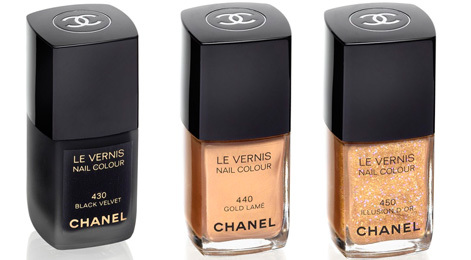 The new collection will be available starting 1 st April 2010 and consists of three new nail lacquers and Chanel Ombre duo. Extreme Orient will be available for sale only at Chanel Boutiques. Let’s take a look at the models’ make-up and get some inspiration. Let me know if you see something you like. Although it’s a mini collection it looks elegant and chic. Only from the photos I can realize how much I want this black nail polish. 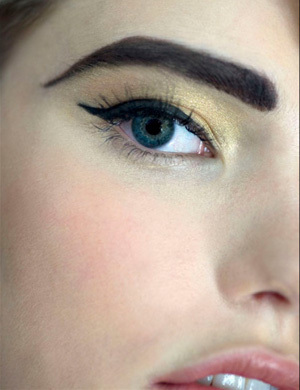 Jet – Gold – gold eyeshadow combined with a matte black eyeliner. A simple manicure but elegant and classy in the same time. I like wearing black nail polish and having a french manicure using black color just like the model in the photo. So what do you think about this mini collection so far? Please share. I love all three colors, and I can’t wait to see more swatches! Can I borrow le vernis’ photo to put on my blog? I will make sure to mention it’s from your blog and will link your blog. I like the promo pics for this collection. Black and gold is so pretty! .-= SoVeryFabulous´s last blog post: China Glaze Channelesque vs. Sephora by OPI Metro Chic =-. I love all the nail polishes, they look so beautiful! Can’t wait to see some swatches of them. 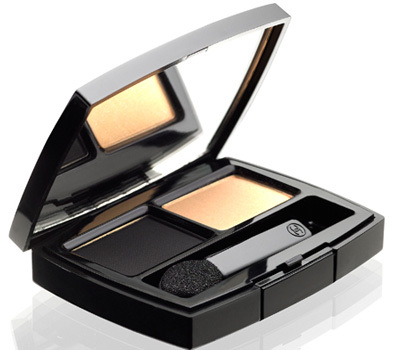 .-= gio´s last blog post: Sunday Beauty Reads, 28/03/10 =-. I am in love with the “illusion d’or” nail lacquer !